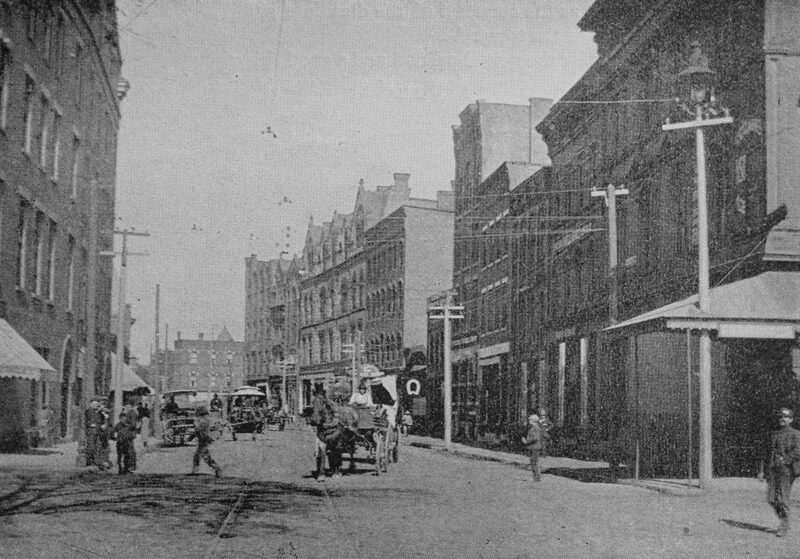 Looking north on Main Street from the corner of Dwight Street in Holyoke, around 1892. Image from Picturesque Hampden (1892). 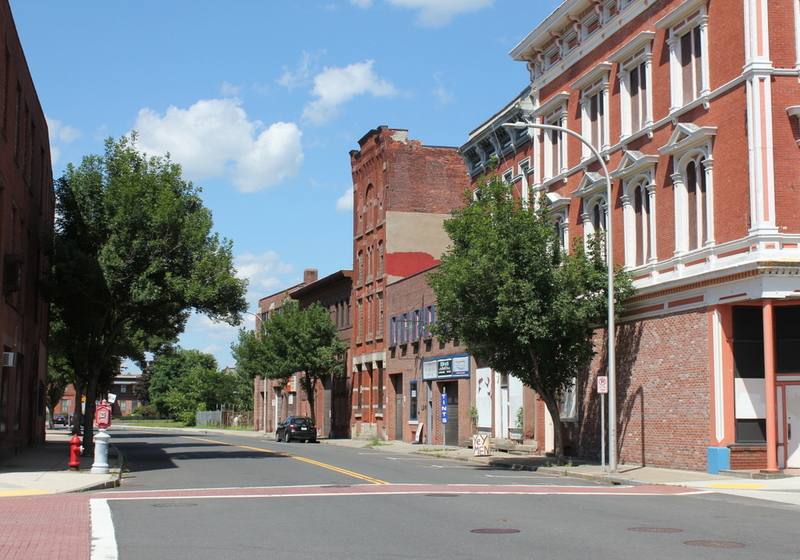 These two photos, taken 125 years apart, show some of the dramatic changes that the city of Holyoke has experienced in the intervening years. 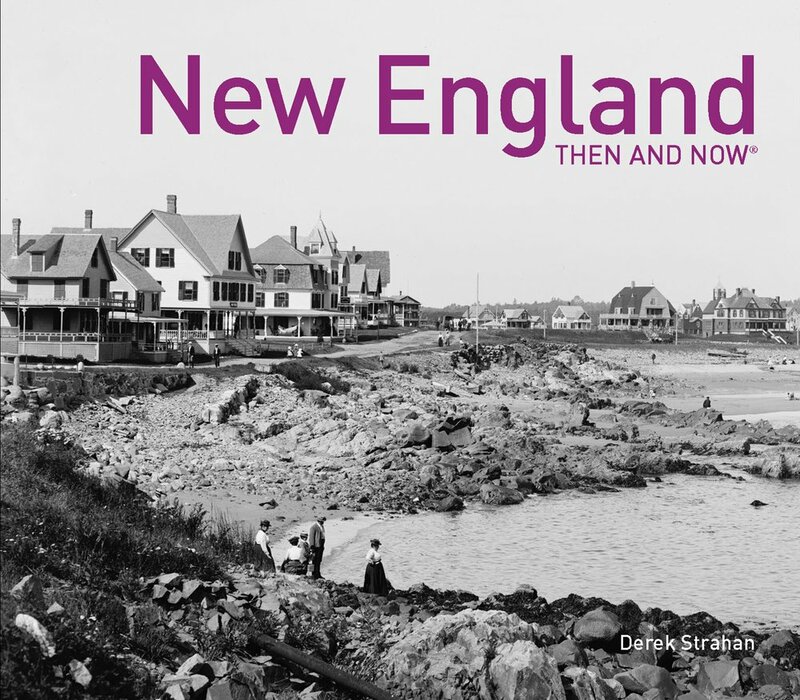 When the first photo was taken, Holyoke was among the world’s leading producers of paper, and at its peak the city had more than two dozen paper mills along its extensive canal system. The resulting influx of factory workers led to a dramatic increase in the city’s population, from under 5,000 in 1860 to over 35,000 in 1890, and the first photo shows a busy Main Street, filled with trolleys, horse-drawn carriages, and pedestrians. The commercial buildings on the right side of Main Street show a mix of late 19th century architectural styles, and are predominantly brick with three or four stories. Probably the oldest building on the right side of the first photo is the Perkins Block, which dates back to about 1870 and was, in later years, known as the Hotel Jess. Its Italianate design was typical of the era, and it includes cast iron ornamentation that has remained well-preserved over the years. Just beyond it is another, somewhat shorter Italianate building, which was built in the mid-1880s. It lacks the cast iron on the exterior, but it has a similar bracketed cornice at the top of the building. The only other building still standing on the right side of the street from the first photo is the narrow, four-story building in the center, which was built around 1883 and has seen few exterior changes since then. Otherwise, all of the other buildings on this side of the street have either been replaced by newer ones or are now vacant lots. 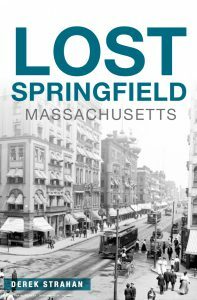 Perhaps the most notable of these lost buildings is the Whiting Street Building at 32 Main Street, the four-story granite building just to the left of the center of the first photo. Completed in 1885, it was owned by Whiting Street, a prominent landowner for whom the Whiting Street Reservoir is named. By the time the first photo was taken, the building was the home of the recently-established American Pad and Paper Company. Now known as Ampad, this company is still a major producer of writing pads and other paper products, although it has long since relocated its headquarters out of Holyoke. The only building visible on the left side of the first photo is the Holyoke House, which was later known as the Hotel Hamilton. Built in the early 1850s, it was significantly expanded over the years and is still standing, although it has lost its top floor. Like many of the buildings across the street, it is now abandoned, and today the scene of boarded-up storefronts, vacant lots, and a deserted Main Street contrasts sharply with the photo taken at the same site in the 1890s.